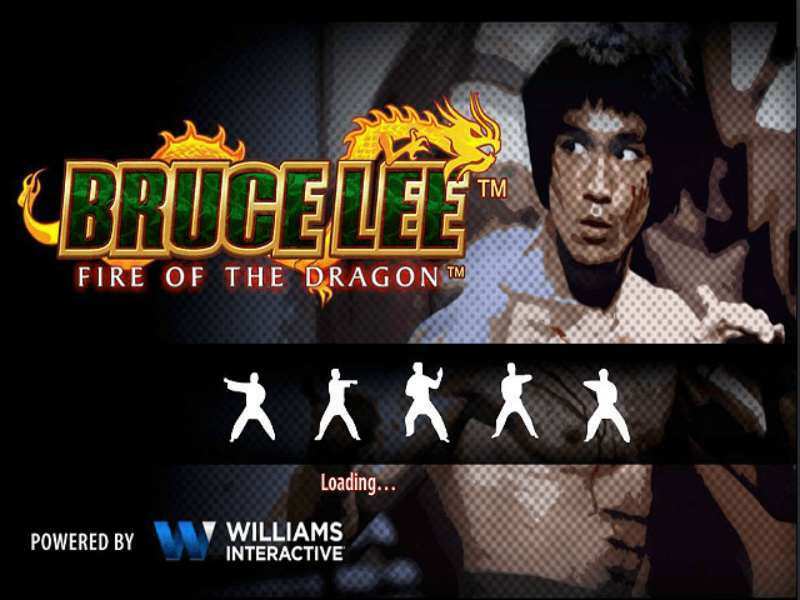 The Bruce Lee Fire of the Dragon slot is a masterpiece coming from the WMS producer. The first part was a hit among gamblers worldwide with unique greed layout which allowed bettors to combine more symbols at the same time. This version went even few steps further. Playing table now possesses 20 pay lines but with a huge difference. The Bruce Lee Fire of the Dragon has 4 sets of reels, in total, 80 lines. The main reel section has a standard 5x3 greed and 3 additional sets which are positioned on the right side of a display and offer the same lineup. At first look, this slot machine seems confusing and complex but it can be actually mastered by any gambler regardless of his/her previous betting experience. To start playing Bruce Lee Fire of the Dragon slots In the UK and other from other regions, gamers have to click on the “Spin” button which is located in the bottom menu of the main gambling display. Stakes can be easily adjusted by pressing up and down arrows. The minimum amount that can be gambled in this slot is 0.40$ and the maximum is 80$ for a single round. To track down game progress, bettors can watch win values and total credit amount. They are always visible. All winning will be combined starting from left side to the right part of a gaming screen. To get all necessary information related to terms, conditions, symbols and bonus features, players can open the “Paytable” window. Feature icon which triggers the free spins bonus rounds. When 3 or more of these symbols are found on a single reel set, players will gain10 free spins with a multiplier of 3 times. There are many more advantages that can be obtained from these signs. In a case that a gambler gathers them on 2 sets of reels, he/she will get 10 free spins with a multiplier that will last until all extra bonus turns are used. If 3 sets of reels triggered extra rounds this multiplier will be even higher, 9 times while the feature is on. The maximum multiplier that can be won is 12x in a case that a player activated free spins on all reel sections. Bettors should know that if 2 scatter icons pop out on a single part, it will count as one. There are multiple ways to combine these icons and get a good usage to win big cash prizes in the Bruce Lee Fire of the Dragon slot. Gamblers can choose to play free Bruce Lee Fire of the Dragon casino slot machine in two versions, for free and in a fun mode with no deposit needed. This online game can be accessed via devices like mobile phones, tablets, etc. This means that bettors can relax and enjoy playing this slot from any place where internet connection is available. Set the stakes to the maximum amount. This is the right move if a gambler wants to score some of the biggest rewards in Bruce Lee Fire of the Dragon online games. Find scatter icons whenever it’s possible. This way, bettors will be able to gamble more with minimum investments. Every experienced gambler knows that more rounds mean higher winning possibilities. Collect symbols with the strongest value (in this case the Bruce Lee wild logo) to get big real cash prizes. Every gambler who is over 18 years old is allowed to play for real money prizes (this is the only condition to finish the registration process at your favorite gambling place). Some countries are not allowed to participate in real cash betting, and players should always check this info before placing bets. This is a fun and fresh slot machine with a unique playing style and lots of scoring chances available in a no download version. The only thing that this pokie lacks is the auto roll option for more relaxed and comfortable gaming experience, but this will not be a problem because the Bruce Lee Fire of the Dragon game is full of winning chances, free spins and big multipliers for exciting betting. 0 responses to "Bruce Lee: Fire of the Dragon Slot"